What are the differences between the Genium and other products? The Genium is a new prosthetic knee that is based on a completely new technology platform never used before in the prosthetic industry. The knee gathers much more data through the use of data sensing and environmental inputs, and then analyzes and processes the collected information much faster and with many more rules and algorithms. 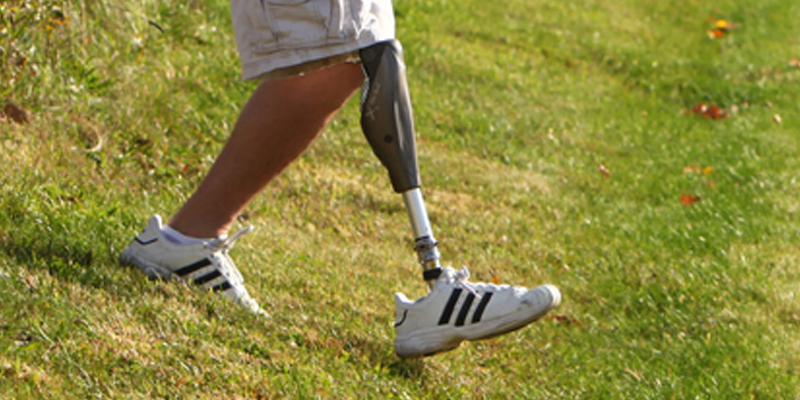 The result is an intuitive prosthetic knee with much greater function on a number of levels - such as improved stability while moving in any direction, easier initiation of swing phase, an automatic standing feature that locks and unlocks the knee automatically, the ability to walk with a more flexed knee, a battery that lasts at least 5 days, and more! 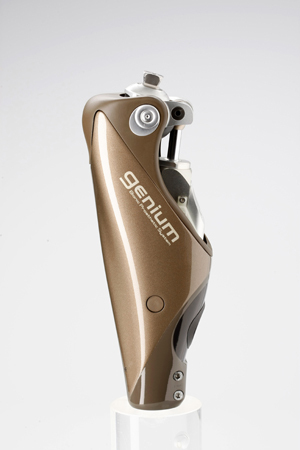 The Genium is NOT a C-Leg. The knees are based on completely different technology. What are the features of the Genium compared to other products? Ascend stairs step over step: Gathering data on where the leg is allows it to respond to stairs with a programmed routine that helps the knee flex appropriately, making it easier to ascend to the next step. Cross obstacles more smoothly: Now everyday obstacles like curbs or toys can be stepped right over - supported by a stable, flex knee at landing - instead of having to swing the leg around. Walk backwards, forwards - any direction: Genium detects movement in any direction and releases stance independent of body weight, making walking in any direction much more secure. Stand more easily: With its new Intuitive Stance Function, the Genium can tell when the user is standing and automatically resists further flexion. This allows for a natural distribution of body weight while standing, even on inclines and uneven surfaces. Sit more naturally: If the user sits for more than two seconds (with the thigh parallel to the ground and minimal weight on the leg), the Genium reduces resistance to take a more natural position - and switches to an energy-saving mode. 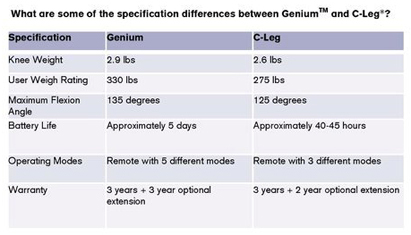 What are some of the specification differences between the Genium and C-Leg?